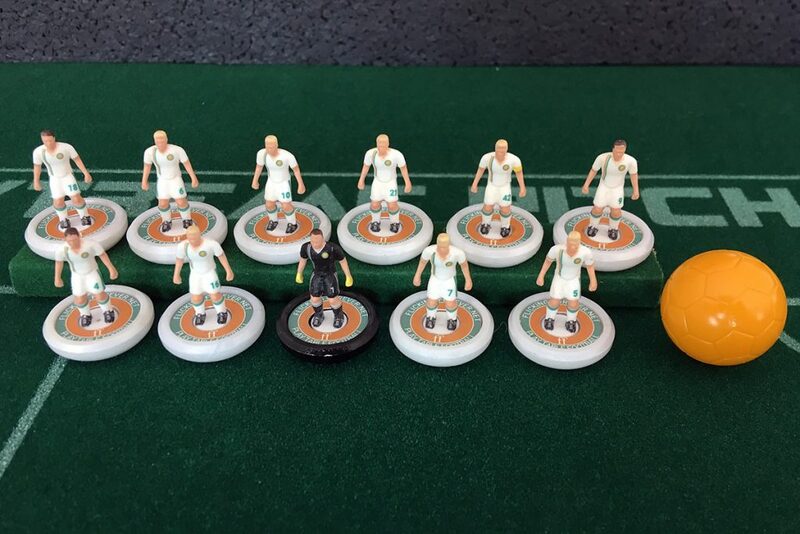 Imagine a ten-year-old boy somewhere in the United States who is practicing Subbuteo Table Soccer – with MY exercises. Isn’t it amazing? What an honour! 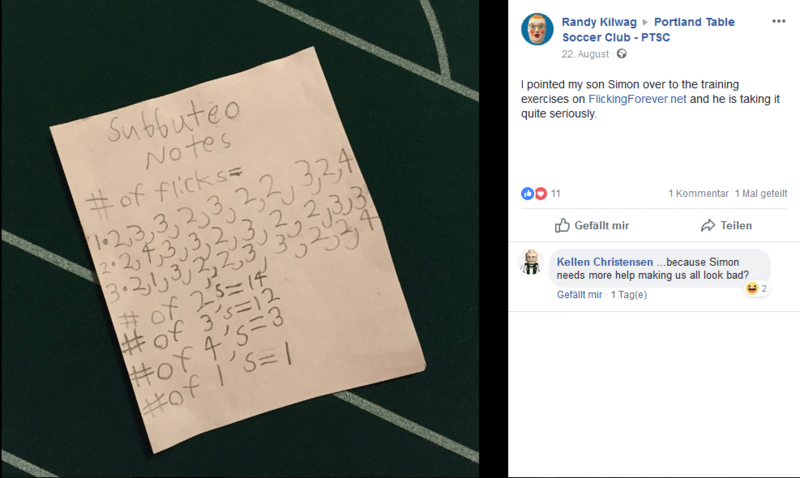 Thanks for sharing this, Randy. 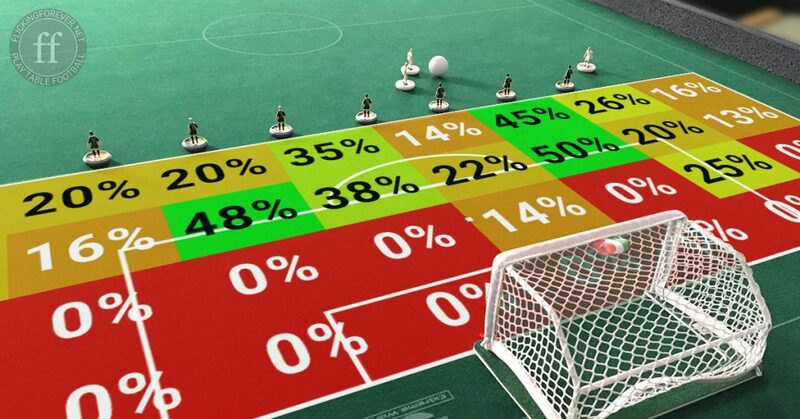 This exercise combines my drills “Touching” and “Marking Players”: Put five figures of each team on the opposite shooting lines and five balls close to the center line as shown below. 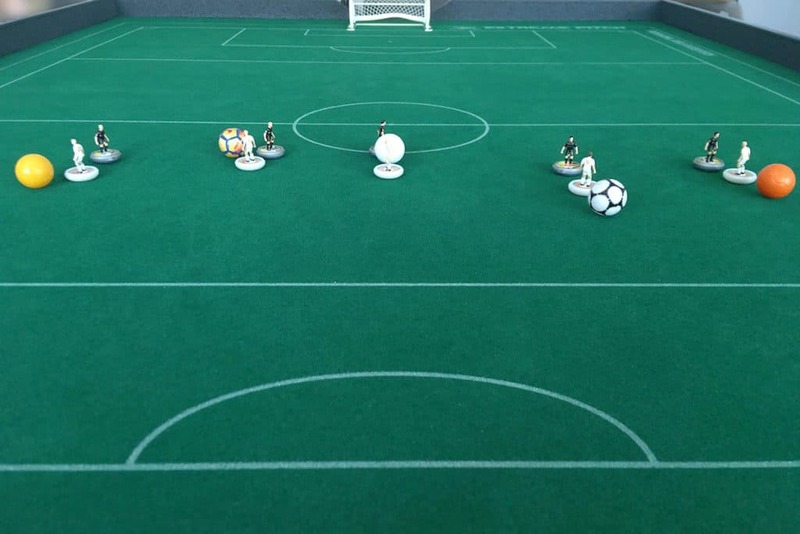 Then flick the five attackers so that they touch one of the balls easily. Now flick the five defenders as close as possible to the attackers, without touching them. Perform the best defense flick that is possible – sometimes the defender should end up between attacker and ball, sometimes the best position is directly in front of the ball. 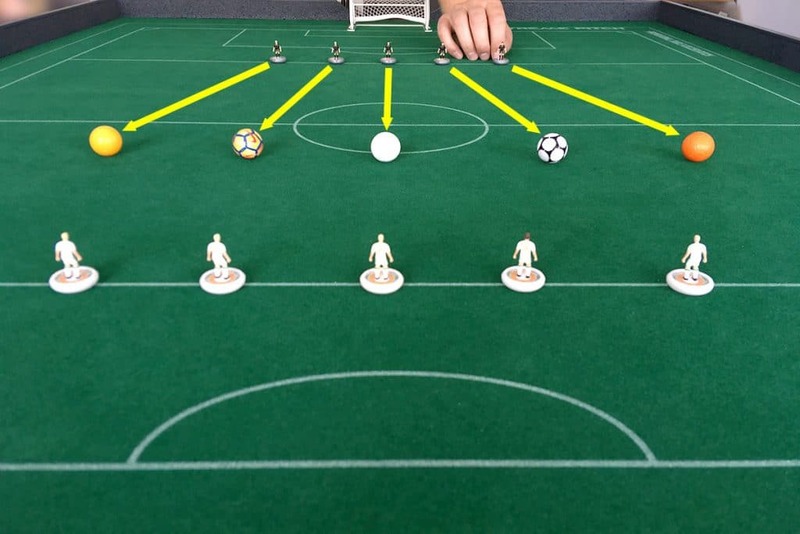 Honorable mention from Down Under: The Australian Table Football Association has referred to Flicking Forever in their “How to play” section. Thanks for this, I appreciate it! 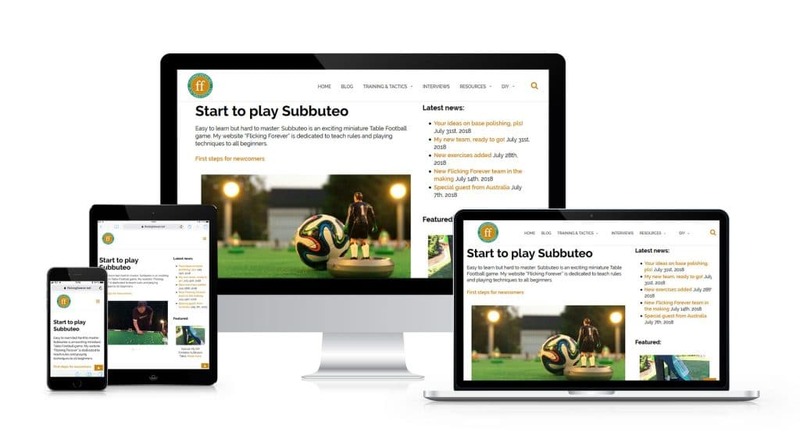 Go to the exercises page to learn 20+ Table Football exercises for beginners. 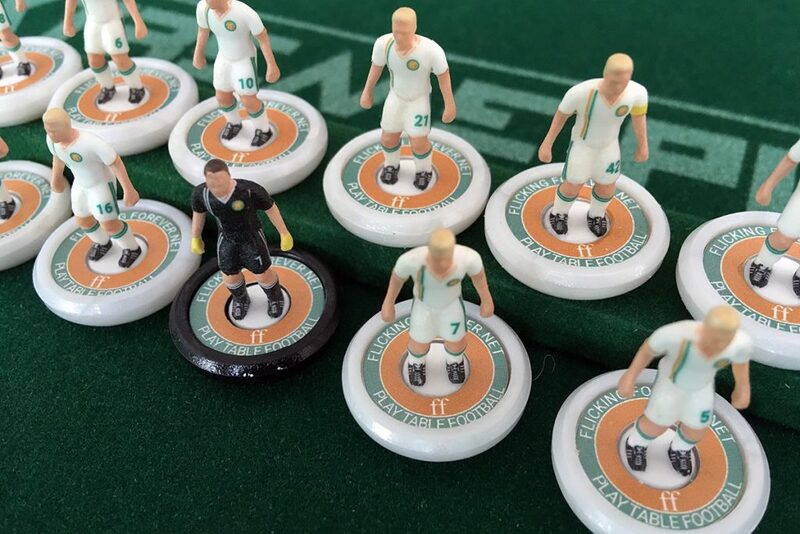 Hermann Kruse (Northern Falcons Table Football Club in Sydney) teaches kids to play Subbuteo. 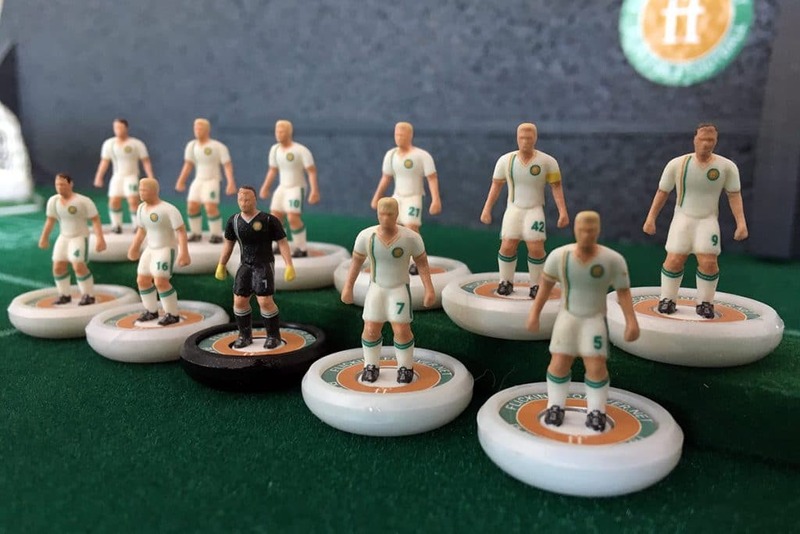 In this interview with Flicking Forever, he talks about his commitment in the Subbuteo world, the challenges of youth work in Australia and what his personal plans are after moving back to Germany in 2019.